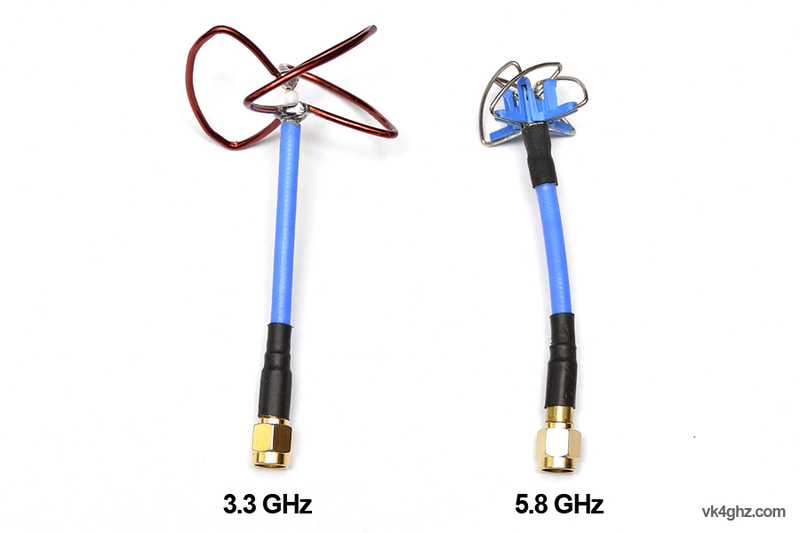 I was curious about how much bigger a 3.3 GHz cloverleaf antenna would be, compared to a 5.8 GHz antenna, to see if it was a viable alternative for FPV downlinks on 250 class mini quad. Side by side, and you can see the relative size difference. 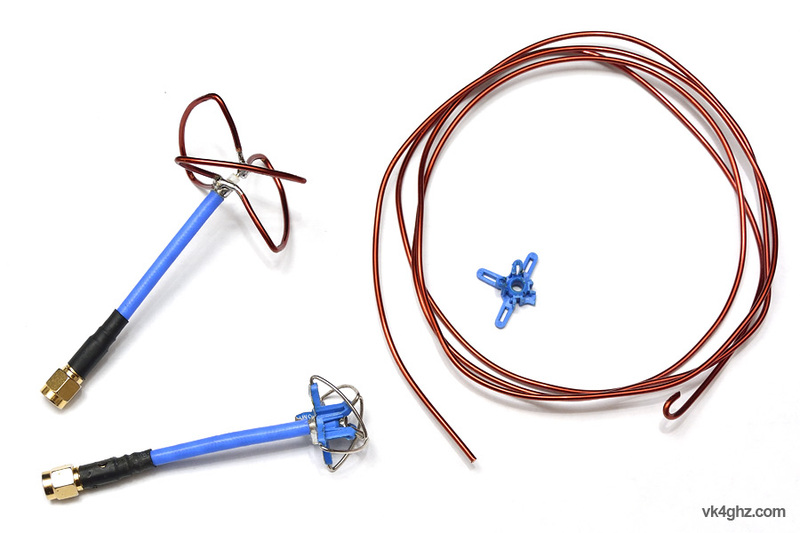 The Aomway antennas have become my favorite, as they work well, are robust, and are attractively priced. Previous return loss sweeps have demonstrated they are often better tuned than the hideously expensive Fatshark SpiroNets. 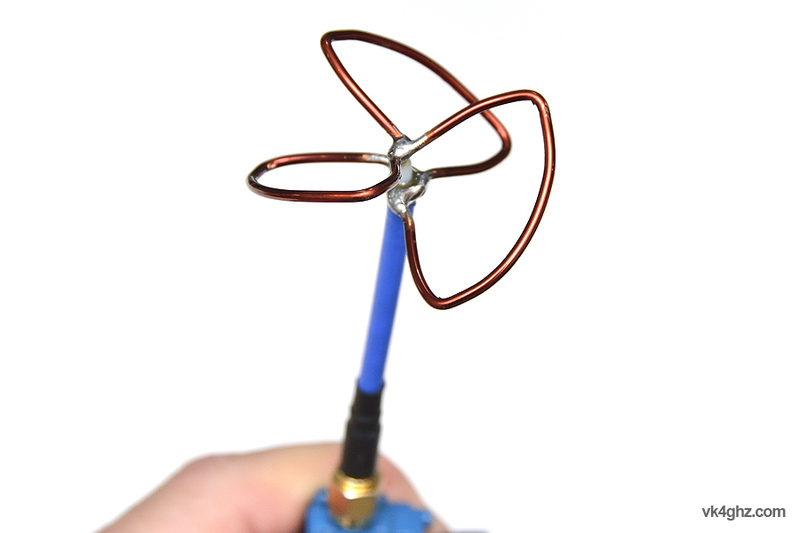 The 3-leaf cloverleaf was constructed from 1.7mm diameter ECW (enamelled copper wire), as I already had some of this on hand. This is probably an overkill, as the largest ECW you can get from the likes of Jaycar and Altronics is 1.2mm Ø.
Incidentally, the 5.8 GHz Aomway uses 1.0mm Ø wire. An on-line cloverleaf calculator was used to determine the physical length of the full-wave loop, and I deliberately made them 2mm longer. For tweaking purposes, it’s easier to shorten something than make it longer. Next task was to sweep the 3.3 GHz antenna on a network analyzer to verify calculated dimensions were in the ball park. 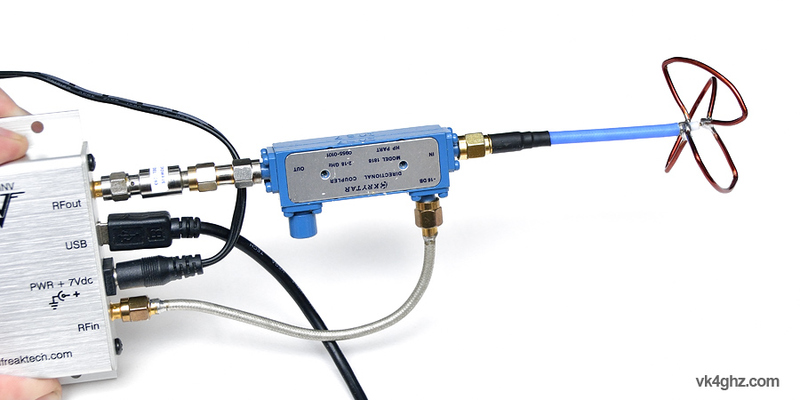 You can see the business end, where the cloverleaf is set up for return loss measurements using a SynthNV (sweeps up to 4.4 GHz) and a Krytar 2-18 GHz directional coupler. I swept it between 3.1 – 3.6 GHz, and was pleasantly greeted with a dip at 3.330 GHz which corresponds to ‘channel 1’. Not bad, as I was aiming for 3350 MHz before adding the extra 2mm on each loop. I now have faith in the on-line calculator. Not surprising, being larger and using heavier ECW. As 3.3 GHz is not an LIPD band (where 2.4 and 5.8 GHz are), most countries will probably require a user to be suitably licensed. 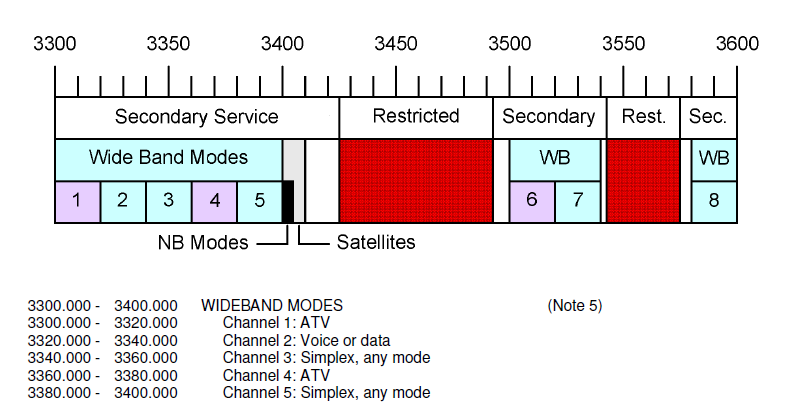 In Australia, any amateur radio operator holding a valid ‘Advanced’ level license can use 3.3 GHz -for non commercial use- and the WIA band plan already accommodates wide-band use between 3.3 – 3.4 GHz. 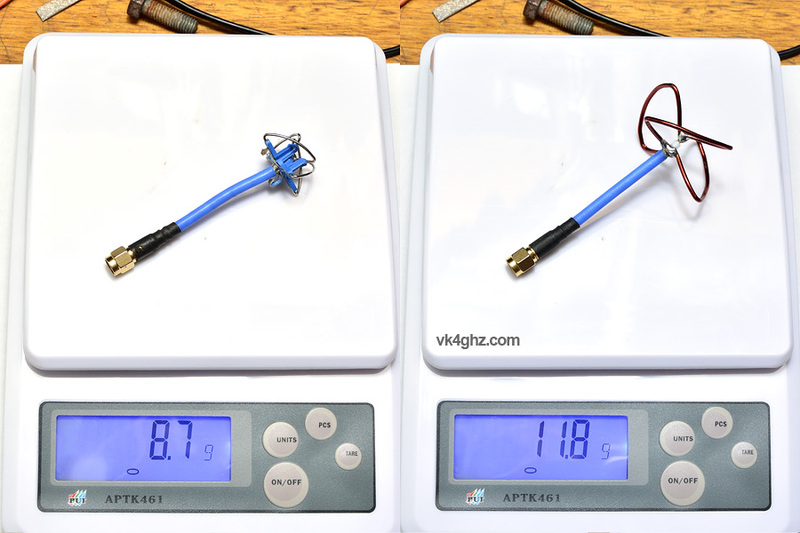 « VTX Antenna Repair – Check under the sticker!